As a result of the increased violence in the area of Atlantis Gardens near Sixth Street and Rockvale Avenue, City leadership has been assessing many different ways to improve the quality of life and increase security in that specific area. Working closely with the Azusa City Council, City Manager Sergio Gonzalez and other City Staff we identified an urgent need to improve the lighting conditions in the area of Atlantis Gardens. The lighting in that area is old technology and by replacing the existing lights with new energy efficient LED lighting, we can enhance the lighting conditions and improve safety in Atlantis Gardens. As a temporary fix, a mobile lighting station was parked in the area; however, the lighting only helped in one specific area and not the neighborhood. 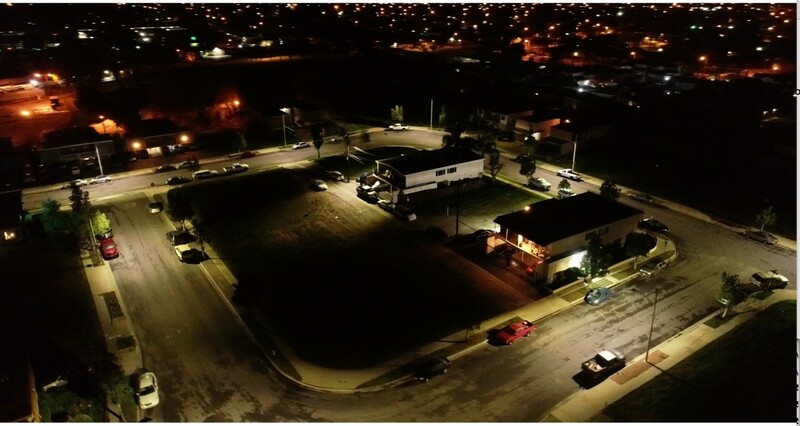 Staff from the Azusa Light and Water Department were able to quickly assess the lighting in the area, develop a plan and have installed some of the new improved lighting. This improvement will increase visibility around Atlantis Gardens and further assist law enforcement in patrolling the area. At a recent community meeting, several citizens expressed their appreciation for the improvement. Crime Prevention Through Environmental Design (CPTED) is a way to prevent crime by designing a physical environment that positively influences human behavior. This is another example of City Leadership working together to improve the quality of life in the City of Azusa. The men and women of Azusa Police Department are dedicated to reducing the increased violence in our community. For the time being, we have increased our staffing with the assistance of our neighboring agencies. On behalf of the citizens of Azusa, I would like to thank the following police departments who have provided assistance: Baldwin Park, Claremont, Covina, El Monte, Glendora, Irwindale, Los Angeles County District Attorney's Investigators, Pomona, West Covina, and the United States Marshals Service. We will be using traditional and innovative strategies to target those responsible for the violence. Police staff will be working with many of our law enforcement partners at the federal, state and local levels; but, we will also be working with the community to build stronger relationships and work with non-profits and faith based groups to dialogue about youth programs. The Azusa Police Department is seeking information regarding the increased violence. Anyone with information is encouraged to call Azusa Police Department Tip Line at (626) 812-3272 or Crime Stoppers at (800) 222-8477 or visit www.lacrimestopper.org.As a result of the increased violence in the area of Atlantis Gardens near Sixth Street and Rockvale Avenue, City leadership has been assessing many different ways to improve the quality of life and increase security in that specific area. Working closely with the Azusa City Council, City Manager Sergio Gonzalez and other City Staff we identified an urgent need to improve the lighting conditions in the area of Atlantis Gardens. The lighting in that area is old technology and by replacing the existing lights with new energy efficient LED lighting, we can enhance the lighting conditions and improve safety in Atlantis Gardens. The Azusa Police Department is seeking information regarding the increased violence. Anyone with information is encouraged to call Azusa Police Department Tip Line at (626) 812-3272 or Crime Stoppers at (800) 222-8477 or visit www.lacrimestopper.org.